It’s true I can hardly contain my excitement, the 2012 Tour de France starts this Saturday. My beloved’s grandmother felt the same way about Wimbledon. She would get all her daily chores done in the morning before settling down for the entire afternoon and early evening in front of the television, essentials to hand: the draw, the match schedule, Pimms, strawberries and cream. She wouldn’t answer the phone, if you were inconsiderate enough to call, nor would she answer the doorbell. It was her favourite two weeks of the year and nothing and no one was going to spoil it for her. While she was a long-time fan of the game, her all-time favourite was John McEnroe, she was also fond of Boris Becker and I’m pretty sure, if she were still around today, she’d be rooting for Rafa Nadal. My devotion to the Tour is perhaps not quite so extreme though I particularly enjoy the run-up where everyone is giving their four pennyworth on who they think will win. Of course, there are two ways of approaching this: who do you think will win and who do you want to win. Often the answers are entirely different. 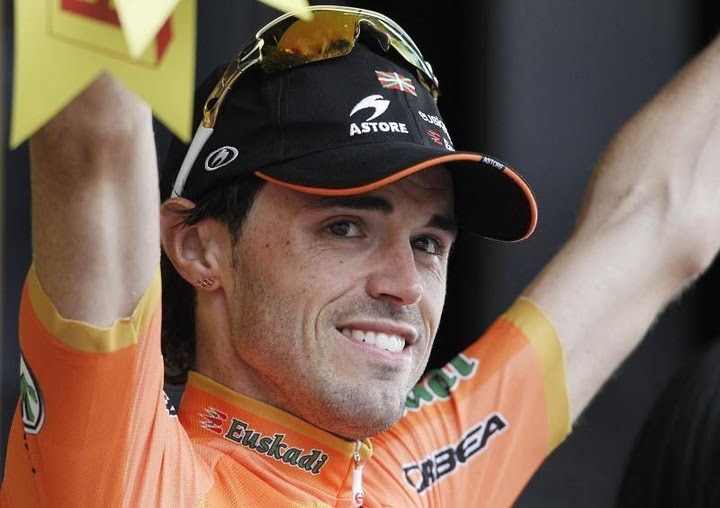 For example, I would like nothing better than for Samu Sanchez to win the Tour de France but I honestly believe that third will be his best shot, barring misfortune falling on either Bradley Wiggins or Cadel Evans. Frankly, I don’t really care who wins other than, if it’s Wiggo, I’ll be able to say “I told you so” down at the cycling club. When Team Sky was launched and stated their ambition of a British winner within five years, my team mates laughed. They’re not laughing now and some are even in agreement. While the favourites battle it out for the podium, my attention tends to focus on rising stars, riders who’ve never recorded a professional win, riders participating in their final tour or their first, the breakaway artists, the lanterne rouge and the bandaged warriors counting down the days and hours until they finally reach Paris. This for me is what makes the Tour so engrossing for three weeks plus, of course, the magnificent scenery. Yes, the Tour is three weeks of minted publicity for France. Like the riders, planning and preparation is key to success. I have drawn up my list of chores to be completed while spending hours watching the action. Top of the list is usually an hors categorie ironing mountain. This year, it’s already been reduced to no more than a false flat. There is however a lot of things in the mending basket. I freely admit I hate sewing and if a button falls off something, you might never see me in it ever again. Over the year, I store all the little jobs that I can’t legitimately take down to the menders in a basket and come the Tour, out they come. I never got around to my annual sort out of the drawers and cupboards during last year’s Tour so this looms large again this year along with cleaning the silver and the chandeliers. Now, you might be wondering that while I’m multi-tasking, I’m missing the action. Don’t fret, I have three televisions tuned to French tv, French Eurosport and International Eurosport respectively in three different rooms to ensure that I miss none of the action. Indeed a number of stages are being beamed to us in their entirety! I love these as there’ll be no need to wonder what happened before I tuned in and why so and so’s down the back, again. I’ll know because I’ll have seen it all. The Tour can be addictive and I have to ration myself otherwise I find I can happily watch French tv from sunrise to well after sunset. I particularly adore Jean Paul Olivier who waxes lyrical about the Tour and France’s rich heritage. I love seeing the immaculately coiffured Gerard Holz pop up at someone’s roadside picnic and engage them in conversation about the Tour and I particularly love the constant stream of facts and figures. I will, of course, have all my supporting papers, books and tour guides on the coffee table for quick ready reference. Lastly, I should probably come clean and admit it’s not unknown for me to watch the evening highlights of a stage I’ve particularly enjoyed, such as Samu’s win last year on Luz-Ardiden.